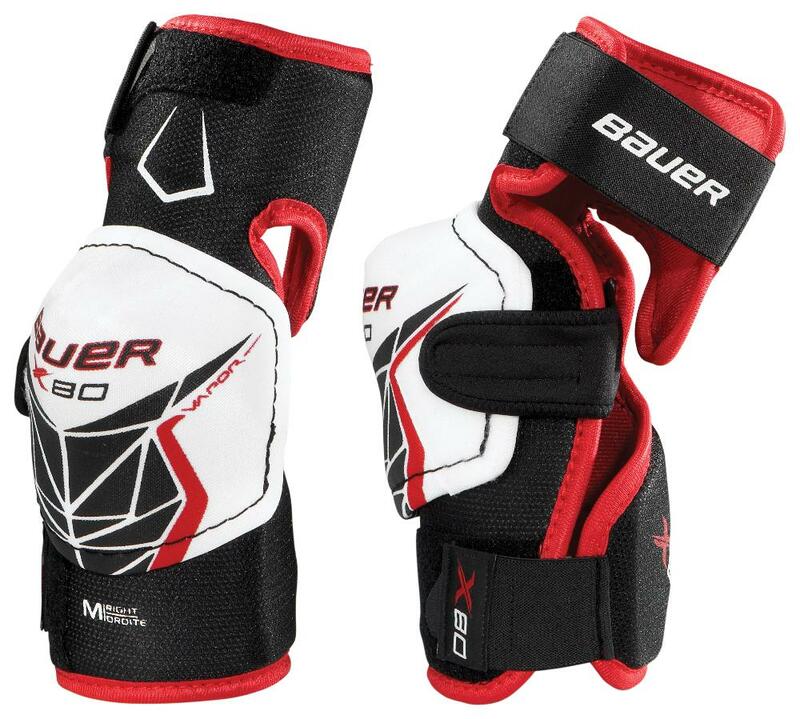 Bauer Vapor X80 Sr Elbow Pad | Sports Etc. The Bauer X80 contains mid-density foam throughout the elbow pad, which provides a comfortable fit and a solid level of protection. A tapered fit for ultimate mobility on the ice. Reinforced HD foam along the wrist and forearm area for a contoured fit and extra protection. Sports Etc Performance To Value Rating– 8 out of 10. A good value elbow pad. Protective enough for a mid-level, checking league or below.